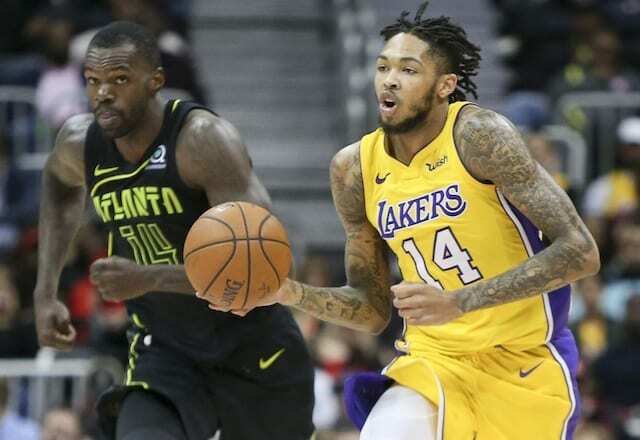 The Los Angeles Lakers were a bit sloppy in the first quarter but cleaned up their turnovers and relied on hot shooting to defeat the Atlanta Hawks, 123-104. The win was the third in a row for the Lakers, who remain undefeated halfway through a four-game road trip. Coming off a game in which he was frustrated by missing all five of his free throw attempts, Julius Randle helped the Lakers get off to a hot start with 12 points in the first quarter on 5-for-7 shooting. He finished with 19 points, adding 10 rebounds and two assists. The night otherwise belonged to Brandon Ingram, who again flirted with a triple-double and led the Lakers with 21 points, adding 10 rebounds, six assists and three blocks. Ingram fought through a leg cramp in the third to score 15 points in the quarter. He joined Pau Gasol, Kobe Bryant and Shaquille O’Neal as the only Lakers to produce those statistics in a game since the 1999-2000 season. Before Ingram began to take control, the Hawks went on 11-0 run in third quarter but still trailed 71-57. 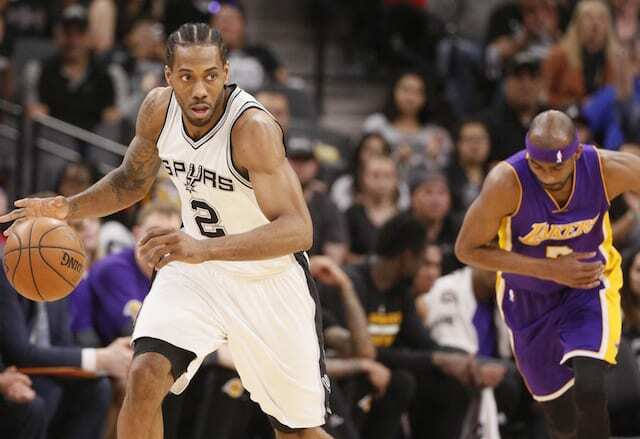 Their run was matched by a similar effort from the Lakers, ensuring the game remained firmly in their control. Lonzo Ball returned to the court as planned, coming off the bench for a second time in as many games since he came back from an MCL sprain in his left knee. Ball saw his time on the court expanded to 24 minutes, and he contributed to the tune of 13 points, seven rebounds and five assists. He was among four bench players and nine Lakers overall to score in double-figures. Kentavious Caldwell-Pope had 10 points in his homecoming, and added a career-high 14 rebounds. Taurean Prince led the Hawks 24 points, followed by 20 from Dennis Schroeder.